A month after their clever, amusing, meta ads won Super Bowl LII, Tide and Saatchi & Saatchi New York are still basking in the afterglow. For a brand that was struggling mightily with the headache of the so-called “Tide Pod challenge” in the weeks leading up to the game, Super Bowl Sunday was the kind of dream come true it wouldn’t have dared to imagine. But there it was: Under the greatest pressure, they delivered the darling campaign of the evening, thanks to an inspired idea that was as big as the national stage of which it made such good use. A month later, the campaign’s effect on sales is already notable. A rep for the Procter & Gamble brand says initial sales results show double-digit growth for Tide Ultra Oxi since the game. That follows some impressive metrics from the Super Bowl itself, when #TideAd was used more than 45,000 times and became the No. 2 trending topic on Twitter (second to the Super Bowl itself), and the campaign enjoyed more than 640 individual stories written about it in the media. For a month-later post-mortem, AdFreak spoke to Saatchi New York chief creative officer Javier Campopiano. We asked him how the idea originally came about, why they chose David Harbour, what his biggest worry was on the night, and what’s next for the #TideAd campaign. Adweek: It’s been a month since the Super Bowl. Has the excitement worn off yet? Javier Campopiano: Yes and no. Of course, after a month, you have to focus on all the other stuff you have to do every day. At the same time, we still keep getting good feedback, both from the industry in general and the client itself. They keep praising the campaign, and we’ve been doing some other stuff around it—ads for the Olympics and Valentine’s Day. I think the campaign has more legs than just the Super Bowl, and that’s something that happened because of the good results we had from that night. What was the vibe leading to the Super Bowl? This was a brand in crisis, given the Tide Pods situation. Was there extra pressure to deliver something special? The pressure was just the pressure of the Super Bowl. 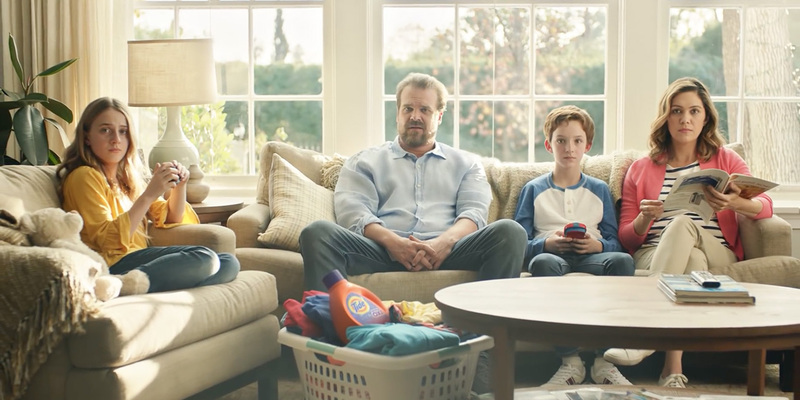 And we had done something really nice [for Tide] last year during the Super Bowl. 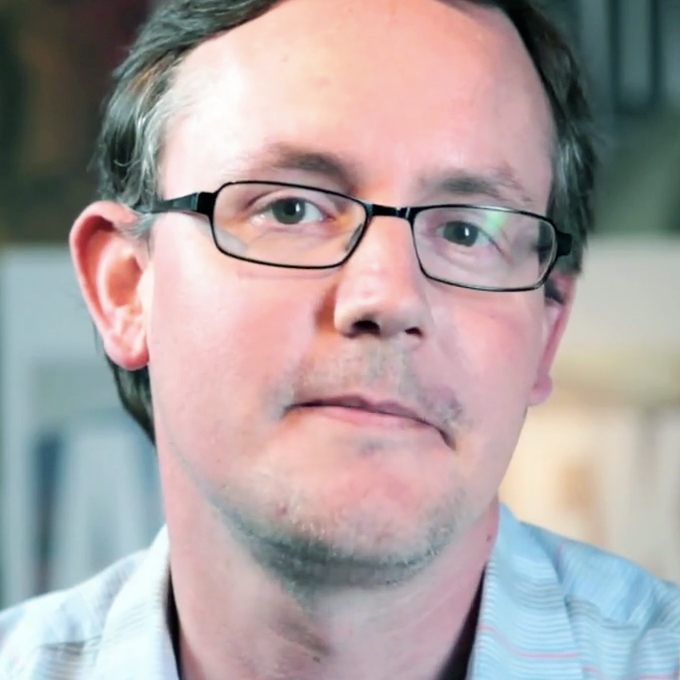 That idea brought great results for the brand, both in sales and recognition. It won a lot of awards. It was a hard one to beat. And you know this better than me, the Super Bowl is a thing in itself. When you’re briefed for the Super Bowl, the pressure is completely different than the pressure on an everyday assignment. We were trying to come up with an idea as last year’s, not to copycat it, but to have the vibe and feeling of something bigger than just one ad. Something that could be more of a program, that hopefully could own the night. So the Tide Pods thing wasn’t necessarily on your mind. Can you pinpoint the moment when someone said, Hey, what about this idea? It was one of those that come up at the very last minute. We were working at the agency over a weekend. It was a big table of creative people. And one of the creatives, Maddy Kramer, was encouraging another one to share an idea that he didn’t want to share. The guy’s name is Jacopo [Biorcio], he’s from Italy, and he’s kind of a low-key, shy guy. And Maddy was like, “Come on, share that idea! I think that’s a good idea.” And he reluctantly shared the idea. And I thought, OK, that sounds like something that can be a program. All of us in that room felt the same about the potential of the thought. From then on, it took a pretty large and diverse group of creatives to bring the idea to life in great form. He was reluctant to share the idea because he thought it was too out there? I think he thought it was kind of silly! I think he was embarrassed. But she encouraged him to share, and everyone around the table thought, OK, this could be the thing. All the people who were there that Saturday, we immediately started thinking about how it could work. Tapping into other brands’ ads, and pirating other categories. The idea immediately came to life in a way that felt really, really big. It helped that this is a P&G brand with sister brands that have famous campaigns. We weren’t that sharp at first, to be honest. We were more concerned with coming with an idea that was really good. On Monday, before the presentation, we started thinking of all that stuff. The client was so crazy about the idea that they immediately started those conversations. Which was great, because I think this idea was completely dependent on those other pieces. The 45-second ad is a great ad, and we all love it, but we knew the meat of the idea was in the other pieces. Right, so you have four ads. And each one builds anticipation for the next. Yes. I think the good thing about the idea is that it really fits these times. You have people paying attention to so many different screens. It’s an idea that, with this meta element, made people aware that there might be other Tide ads. We actually didn’t have that many ads. We had the :45, and three :15s—with one of those :15s divided into two ads, each seven and a half seconds, stitched together. So, we didn’t do that many. But the notion that any ad could be a Tide ad got people to think, and be aware and alert, and that created an effect that was bigger than the amount of ads we had. People were tweeting, Is this a Tide ad? Is the next one? People were really into it. When we ran the second ad, the Old Spice one, people were like, OK, this is serious! That’s where it became bigger and bigger, and people just rolled with it and were playing with the idea. Which was fantastic, because it’s exactly what we were expecting. There was a nod to Budweiser, with the Clydesdale, that ended up running right next to the actual Budweiser ad. That couldn’t have been planned. No, it’s wasn’t. But it was one of those nights when all the stars were aligning. You can’t believe your luck. We were in the war room with all the creatives, and people from the brand, and the media agency, Hearts & Science. You really never know how something’s going to play. But these days, we have the blessing and the curse of knowing everything in real time. You can’t go to sleep and find out the next day. In the past, you could at least have one night of sleep. Now you have that feedback so soon, you can’t escape it. But when we saw those two ads play together, we were just celebrating. What we ran was actual Budweiser footage provided by the brand, which we thought was really cool. It’s not that we were just shooting any footage of horses. This was actual Budweiser footage. It’s a special idea, but the execution has to be right or the idea doesn’t work. How were you able to get the execution right? There were a few elements that were really important. One was the celebrity spokesperson. We were looking for the right person for a while when David [Harbour]’s name came up. He was perfect because he embodies that quirky personality that can be funny, and a little bit weird, and charming. And that was really important because we were playing with different advertising genres, and we needed someone who could be versatile and act all of those genres with charm, and at the same time deliver this idea that was not that simple to explain. He explained the idea in a really charming way.